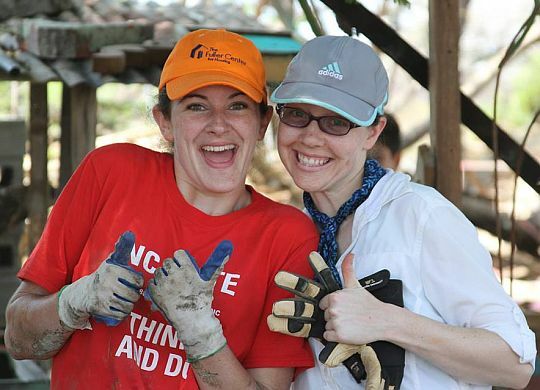 Go Abroad, which helps people who want to volunteer internationally find the best options, has ranked The Fuller Center’s Global Builders program in Nicaragua No. 2 in its list of Top Volunteer Abroad Programs of 2015. That ranking is second out of 5,860 programs. The ranking comes after a record-breaking year for The Fuller Center’s entire Global Builders program, which recorded 49 trips with 610 volunteers in 2015. “We work really hard to not only grow the size of our program but also to do all that we can to help each trip be a great one,” said Ryan Iafigliola, The Fuller Center’s Director of International Field Operations. “This recognition is for the latter. Our hosts in Nicaragua — and the other places our Global Builders teams work — do such an amazing job, and it’s nice to see them get some recognition for it. View the complete list of rankings from Go Abroad, including volunteer, certification, internships and study abroad programs and organizations.